Last year I wrote a blog post on the rapid decline of the Monarch butterfly. The three main contributors toward the radical decrease of the Monarch’s numbers are deadly chemicals (especially Roundup), loss of habitat due to development and the disappearance of milkweed, their main food source. Bees are faring no better. 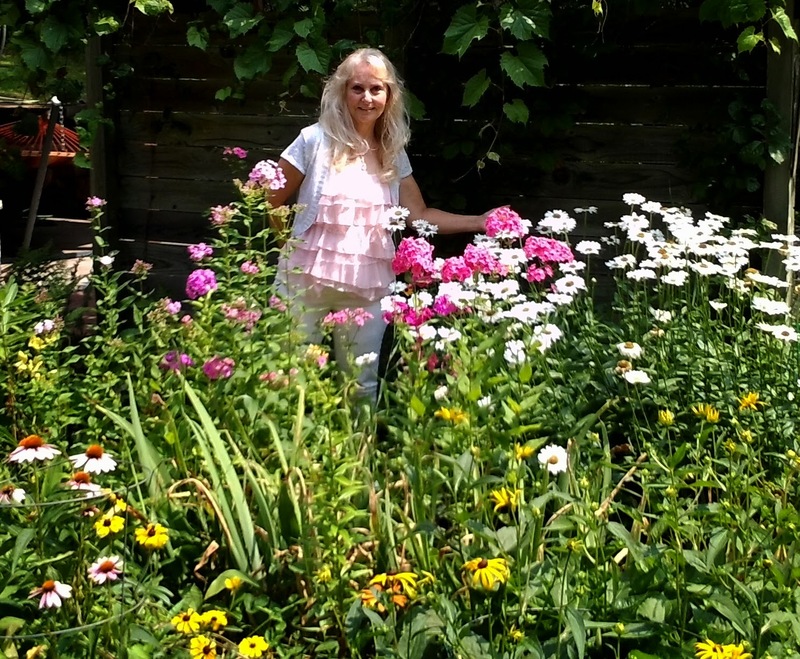 Lawn chemicals (herbicides, pesticides and fungicides), loss of nesting grounds and a decrease in wildflowers have had a negative impact on their numbers. Bees are important to the survival of many plants, including many of the foods we eat because they serve as pollinators and pollination is essential for propagation. What can you do to help sustain the bees in your area? Turn part of your lawn into a flower garden of native wildflowers. 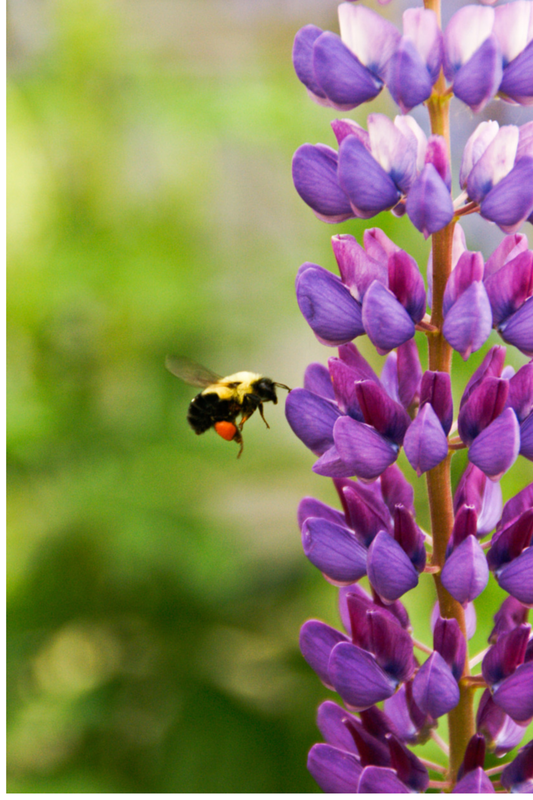 Plant bee-friendly domestic flowers. Select single-flower tops, such as daisies or marigolds and plant a variety to sustain the entire growing season. Below is a list of suggestions, however, you can always ask your local nursery to show you what flowers they recommend for your area. Also, be sure to ask for plants that are chemical-free! Did you know that bees are blind to the color red? 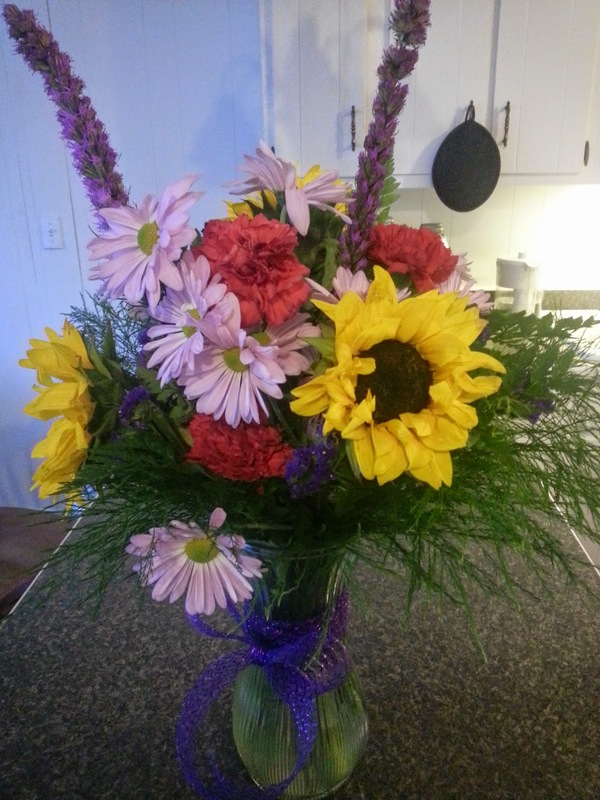 Be sure to mix them with blue, purple violet, yellow and orange flowers. They need a variety of flowers that bloom all through the growing season because most can fly less than a mile from their nests. Have you signed up for our newsletter? It comes out three times a year--Valentine's Day, Summer and the December holiday issue. Each edition features sweet romance flash fiction, delightful stories that will warm your heart. It also includes giveaways from our authors and news of their latest releases. Don't miss another issue! Scroll down on the right side of this blog and enter your email address under Newsletter Signup. Denise Devine is a USA TODAY bestselling author of sweet romantic comedy and she also writes inspirational romance. You can view all her books and current information on her upcoming book signings at www.deniseannettedevine.com. Writers face many challenges. Ideas don’t rain from the sky. Good prose doesn’t gush like a spigot. We can’t just turn it on and off. Promotional work isn’t done for us by elves as we sleep. It’s easy to focus on the glamorous side. The pretty book covers. Fan meet and greets. A nice review on a favorite blog… but the truth is that it’s like any job with one exception. No accountant walks into his boss’ office to ask if he/she can stop working because he’s blocked. A doctor can’t halt mid-surgery, lay down his scalpel and claim he’s no longer inspired. A firefighter wouldn’t turn the hose off a burning house because he’s out of fresh ideas. Only creative jobs risk the dreaded block and while that’s not often a problem for me (I subscribe to the keep writing, even if it’s junk, until it starts making sense- philosophy) that’s all changed recently. Writer’s block, your name is Zoey. Last fall I lost my beloved dog, Little Bit. We’d gotten her as a rescue eleven years ago when she was two and I loved her so much that even towards the end, I did everything I could to keep her with me. When she lost her hearing, we developed some kind of sign language that worked. When she no longer climbed the stairs, I carried her. When she started soiling herself in her sleep, I jumped in the garden tub with her and scrubbed her before I washed myself. I told myself as long as her helicopter tail kept going, I would too… until it stopped. And when she passed, I felt like she took a part of me with her. Still don’t have it back. Wouldn’t want it. It belongs with her until the rest of me joins her. Hardest of all, I lost her while writing my current release which features a heroine determined to raise and bond with an orphaned bear. It turned out to be cathartic, though, as I poured a lot of my own remembered joy and current despair into those pages. Then. A speed bump. Greg surprised me with a nine-week-old puppy we renamed Zoey. As soon as I saw her fluffy, adorable little body and cute face, it was love at first sight. However, since I hadn’t raised a puppy in years (my other dog, Lizzie is thirteen) I forgot how much time and energy a young creature needs. She was far from her Amish farm. Unused to the electric sounds of the modern world. Scared, a little clingy, needed attention- lots of it. She wanted to be snuggled, played with, let outside, fed, played with some more… and more… So much so that I got exhausted fast. I even caught a cold and pink eye. Every bit of me, including my creative energy was consumed. On the few occasions I got to my lap top, I destroyed perfectly acceptable wording because nothing new came. I felt like a failure. But then Zoey would lick my face and I’d shut my computer down and go back to being a pet mom… maybe I was better at that then being a writer? Three weeks later, I’m still getting up with her at five a.m. By eight a.m., I’ve taken her for a walk, jogged around my property with her twice, played tug of war and fetch for hours, fed her and so on. Operation: Exhaust Puppy… and it’s working. She’s now napping from eight to ten. Wakes and plays on her own until twelve. I have lunch and play with her until around 1:30. She sleeps again while I write until four or five and huzzah- I have a routine again which taught me something I didn’t know about myself. One of the frustrations of home ownership is the uninvited guests who drop by. I’m not talking about your distant cousin from out of town who needs a place to stay. I’m talking about those creatures that come in through tiny cracks and crevices and are sometimes nearly impossible to get rid of. When we moved into our house that backs onto a public path, we had no idea the mouse problem we were in for. They appear in our house year round, leaving evidence of their presence on our kitchen countertops. Disgusting as it is, I hate killing them. Their little twitchy noses and beady eyes are so endearing. I used to catch them in a humane trap and take them to a park six miles from my house to release them. Then I came to realize that they would probably starve in the snow, get eaten by a predator, or find their way into someone else’s house and be killed there, so why was I bothering? Besides, I got tired of chauffeuring a mouse to the park every few days. I got cold-hearted and started buying snap traps. But they don’t always work the way they’re supposed to, and I can’t stand causing suffering to any animal. So last weekend I spent $30 on a trap that is supposed to electrocute mice quickly as soon as they walk into it. I set it up on the kitchen counter, loaded it with peanut butter bait, and waited. 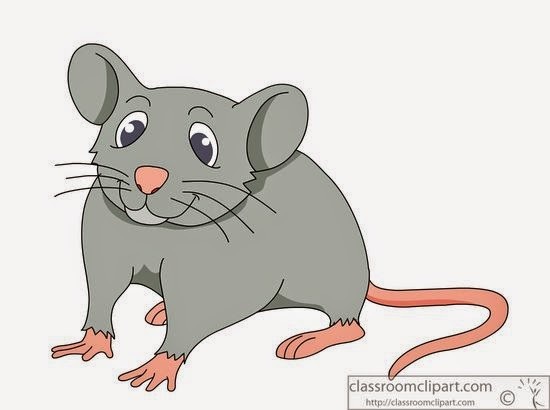 In the morning, I found evidence of a mouse in the kitchen, but no one in the trap. Sometimes I think they are smarter than me. Now that’s it’s springtime, the ants are back too, marching two by two into my kitchen. One of my five-year-old twins delights in whacking them with a fly swatter. Borax traps seem to work fairly well. Every summer, bees somehow get into our basement. They die quickly if they can’t escape, but we recognize the value of bees and always trap them as soon as we see them and release them outside. There are outdoor critters to contend with as well. 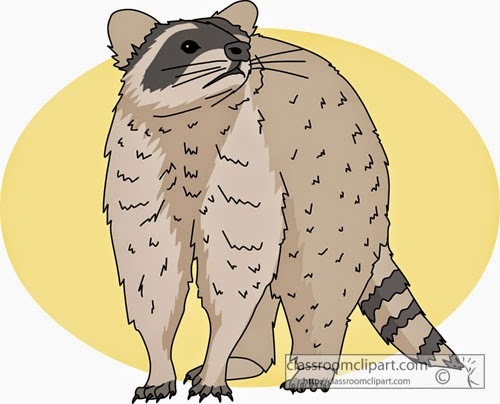 The racoons are cute when they appear at night and lounge on our deck furniture, but not so cute when they take up residence in the crawlspace above the bathroom, and then fall through the eaves. Or rip through our trash bags and scatter garbage everywhere. We hope we’ve blocked things up well enough this year so they won’t be back. Meanwhile, rabbits and groundhogs who live under the deck drive me crazy chewing up my garden. If I don’t cover my vegetables with netting, the plants are quickly reduced to stumps. But what do we expect? We've encroached on their habitat, and we can hardly blame them for taking advantage of a free meal, can we? What critters do you have invading your house and garden? Susan R. Hughes writes contemporary and historical romance novels set in Canada. Visit her website here. Want to keep up with news from Sweet Romance Reads authors? Sign up for the SRR newsletter today. Do you take coffee breaks? The Merriam-Webster Online Dictionary defines a coffee break as “a short period for rest and refreshments,” so clearly drinking actual coffee doesn’t have to be a part of it. Many people prefer hot tea or something cold like lemonade, though I admit to being an avid coffee drinker myself. When I worked full-time, coffee breaks were often impromptu events that occurred near the office coffeepot. Colleagues would run into each other while refilling their mugs and chat briefly, while enjoying a pause in their routine. Some employers schedule coffee breaks by giving employees pre-set windows of time when they’re encouraged to take respites from their regular duties. Now that I write for a living and run my own schedule, I find coffee breaks are even more valuable than you’d expect. The upside to being my own boss is that I can work whenever I want. That is also the downside, because the pressure to continually perform, write more and meet deadlines is always there, whether or not an editor or vendor representative is looking over my shoulder. In my push to produce and succeed, it’s often easy to forget to slow down and take time for myself. That’s why coffee breaks are so important. I’m not the only author who feels this way. We at Sweet Romance Reads understand the importance of coffee breaks, and taking a breather from our regular routines to relax and chat with our friends. Toward that end we’ve set up the new Sweet Romance Reads Café, where readers and SRR authors can gather in a friendly environment to share fun posts of a “sweet” nature (i.e., G to PG type material) and discuss one of our passions, our SRR authors’ books. To keep things lively, we’ll be offering regular giveaways with chances to win some of those books as well as Amazon gift cards. I hope you’ll stop by and join us today, and take a short coffee break for yourself! 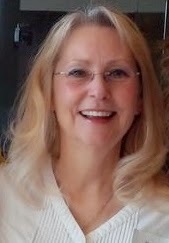 New York Times and USA Today Bestselling Author Ginny Baird writes contemporary romance novels and novellas. Her latest sweet romance release is The Light at the End of the Road, available at Amazon, Barnes & Noble, iBooks and Kobo. Want to keep up with news from Sweet Romance Reads authors? Sign up for the SRR newsletter today. I'm a great believer that everyone should be responsible for their own happiness. It always seems crazy to me that anyone would put their happiness or lack of it in the hands of another person. Yet so many people blame their partner or their family or their boss or the government for doing something that makes them unhappy. Everyone experiences trials in their life, but even when times are tough and testing, there are always bright spots we can focus on to keep give us pleasure and keep us going. I believe happiness is all about attitude, about being optimistic and looking for the good things in life. In my life there are countless small things that bring me pleasure each day, kissing my husband, my first cup of coffee, watering my seedlings and seeing how they've grown, playing with my dog, watching her chase after her toys and playing tug-of-war with some poor stuffed animal that has lost most of its stuffing. Walking around my garden and noticing the buds grow and the flowers bloom and the leaves fall as the seasons change. If one looks for them, there are numerous things that can bring a spark of pleasure to the day, even when there are troubles. One just has to be open to them. 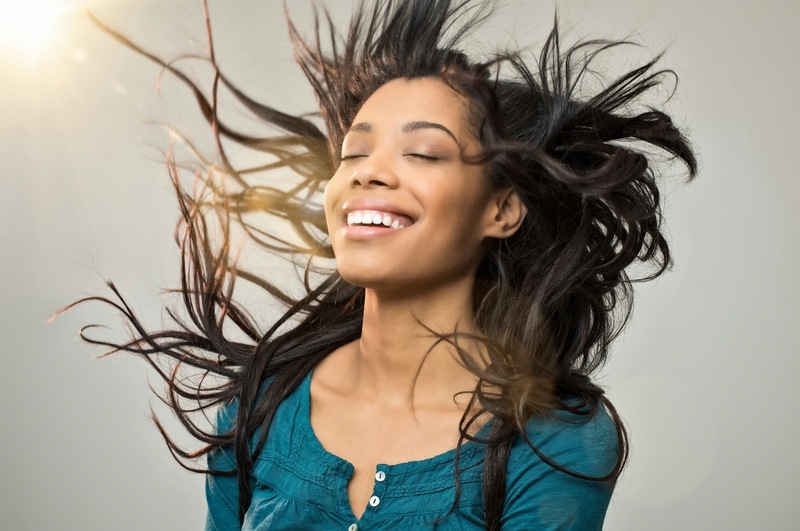 What things in your life bring you happiness? Helen lives in South West England near Plymouth in Devon between the windswept expanse of Dartmoor and the rocky Atlantic coast. As well as her wonderful, long-suffering husband, she shares her home with a Westie and a burmilla cat. Helen has one of her Army Doctor stories in the Hearts & Kisses boxed set. (This set includes both sweet and steamy books.) Find Helen on FaceBook and Twitter, or visit her website. Sometimes, like the proverbial Chinese bamboo tree that flowers only once every few decades, things change slowly. Other times, life changes in the space of a few minutes. There was the moment before you knew you were in love and the moment right after - and in that space in time, the world was altered. Each year, when the winds come at the tail end of winter, howling through, unsettling my afternoon walks, disturbing my sleep, I know change is coming. Change can come any moment, of course, but when the wind comes, I feel it churning away the old, bringing who knows what in its wake. I'm tense into my bones, into my very soul. The wind roils around us and it takes all my focus to appear calm on the outside, while inside me, my fears and dreams roil with it. Afterward, once stillness has descended once more, I look around and see the new that has come, and it takes me a few days, sometimes a few weeks to stop marveling at how quickly things turned around, and start to adjust to a new phase of the year. Honestly, how did we go from that to that in seven days? 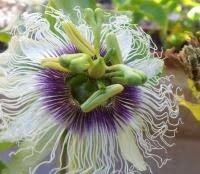 Here's my favorite, but I'll have to wait a few more months for the passion fruit to bloom. And a few more months for the pears that will grow from the white flowers pictures above. I'm not much of a gardener. I don’t know the names of all the flowers, don't order seeds or weed. But I do love the plants around us. Not just their enchanting beauty, but the constant reminder that life can be gloriously beautiful, and yet change overnight. There may be some growing pains, some uncomfortable adjusting to do, but often those changes are making way for phases of life that may be equally wonderful. It's a good thing nature surrounds me with constant reminders. 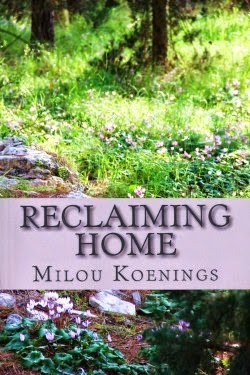 Her novel, Reclaiming Home, A Green Pines Romance, is available at Amazon. You can find her on her website, www.miloukoenings.com, on Facebook, Goodreads or Twitter. Why on earth do you write in English? That's the first question everybody asks when they hear I'm a writer. It does seem strange. After all, I'm German, have lived in Germany most of my life (with some stints abroad), and have unexciting German roots, nothing international there. The answer is easy. We Germans have a simple approach to life. If you want to be good, make sure you study your subject at university. If you want to change track in the middle of your life, don't. If you want to become an author, keep on dreaming. If you want to have information about how to write, how to submit to a publisher, how to polish a manuscript, see point one. Or make sure you have excellent connections in the industry. When I had come to that point in my life, I realized (thanks to the Internet) that Americans approach life in a different manner. They shrug, smile at you and say, "If you want it, you can do it." And then they show you how. You're a nurse, a gardener, a lawyer, a manager? Never mind. You can do it. Be prepared to work hard, be prepared for rejections, but go right ahead. Next, I looked at the German book market and realized that most romances, chick lits, and mysteries were first published in English and then translated into German. If the German market proves so difficult to crack, I thought, I'll take a roundabout way to become a published author. I'll write in English and target the US market first. Let the Germans make their own translations whenever they'll get round to it. So I started to write my first novel in English. I guess I was the fool who was never told the impossible. Then, in spite of all the help via the Internet, I was stuck. I knew I had to improve my craft but didn't know how. Everybody said I should join a writer's group, but I didn't know any other writers in my area. Everybody said I should go to a writer's conference, but I couldn't afford the trip to the US. I felt as if I was a desert mouse, trying to learn to ski with all the other mice looking on and shaking their heads. So I searched the Internet some more and decided to give my manuscript to a professional book editor. I hit a jackpot. Elizabeth Lyon gave me such a detailed report, it was almost longer than my novella. She criticized every single point in detail, but she did it in such a wonderful way that it didn't hurt me (another American talent!). I couldn't wait to go back and make all the changes. Next, Elizabeth met the then-editor from Avalon Books at a conference and sent me their information. I submitted my manuscript, changed it again according to Avalon's suggestions, and many months later I received the incredible news that I had made it. Avalon Books had accepted my first romance "Wings to Fly"! The desert mouse had learned to ski. That was in 2008. Today, I've got 12 full-length novels published, three with Avalon Books, the rest independently, and I won't stop writing anytime soon . . . I've even translated my first novel "back" into German, but have found that it's not much fun. I prefer to write in English! How about you? Have you ever taken a roundabout way to realize your dreams? Memories – they're what we’re made of. Memories, to a very large extent, are what make us who we are. They form our history and inform our present. The sharing of memories bonds us to others. Memories guide us, provide context, support wisdom, and serve as a foundation for creating stories, for art, for imagination…and for how much more? Without memories, our lives and our stories would be colorless until we build more memories. But what if we can’t? I visited my mom yesterday. She was a smart, capable woman. She was an amateur genealogist. 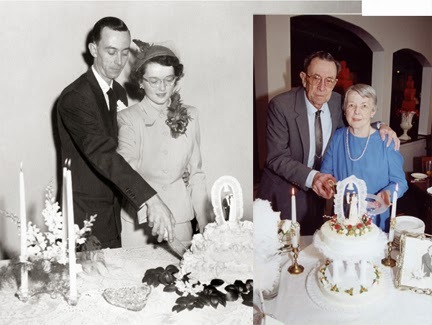 She was a computer whiz when it came to surfing, shopping and saving photos. She was a gardener who grew azaleas, bleeding hearts, and nurtured her beloved peonies. She was a daughter, wife, and mother, a grandmother and great-grandmother, and she was the best paper-doll maker in the whole world. 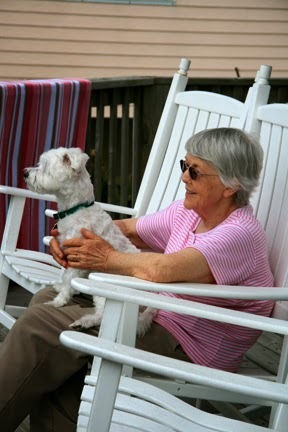 Now she has Alzheimers and lives in a memory care unit in an assisted-living home. As the disease progressed and she lost parts of herself (not literally, but that’s how it felt to me) I grieved constantly. First, she lost the ability to make new memories and reasonable decisions. Then, in the ten minutes it took me to travel from her home to mine, she’d forget she’d just seen me. Next, fear overwhelmed her because she knew something was wrong with her world, but couldn’t understand what, why, or how to fix it. Then began the trips up the street. 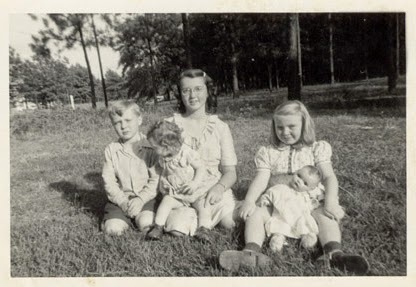 Her sweet, loving neighbors who’d known her for decades, would see Mom walking with purpose (to where, she couldn’t say) and would speak to her with kindness, cajole her, then take her home and call me. Then the dreadful day came when she had to leave her home forever for a new place, a place where she would be safe, if not happy. My grief has eased as I’ve ceased to fight against reality and inevitability. Now, it’s sufficient for me to see her content and safe, and catch an occasional glimpse of the person I remember. To appreciate a good day. To love what remains. When I visited her yesterday, she smiled and we conversed and laughed. Despite the missing pieces, it was worth more than I can say. No one expected this. Not her. Not us. No one does. Yesterday’s visit got me to thinking about what happens when we are unable to create new memories and, over time, lose the ones we've gained through the years. The stories of our lives, our experiences, the stories we pass on from generation to generation, fuel the creation of fiction. The places, the characters, the incidents, the voices we hear in our heads when we are writing a book, who demand to be heard – what happens to them when we lose them? Fiction or non-fiction, they become as dust, never to be savored again, no longer able to be shared. So, what’s the takeaway? What’s the “moral” of this story? Don’t wait. Do it today. Tell it today. Sing your song, tell your tale, make new memories even as you cherish and share the old ones. And while you’re at it, kiss your sweetheart, hug your grandbabies, cuddle your pets – dance the dance and yell and cry and tell the stories of your heart. On behalf of my mom who’d tell you this if she could – DO IT NOW. Grace Greene, an award-winning and USA Today Bestselling author, writes stories of love, suspense and inspiration. Her Emerald Isle, NC books include her debut novel, BEACH RENTAL, which received a 4.5 star Top Pick rating by Romantic Times (RT Book Reviews). The sequel, BEACH WINDS, also received a 4.5 Top Pick rating, and a short story, BEACH TOWEL, and novella, BEACH CHRISTMAS, are currently available. "It's always a good time for a love story and a trip to the beach." Grace also writes stories set in rural, small town Virginia. 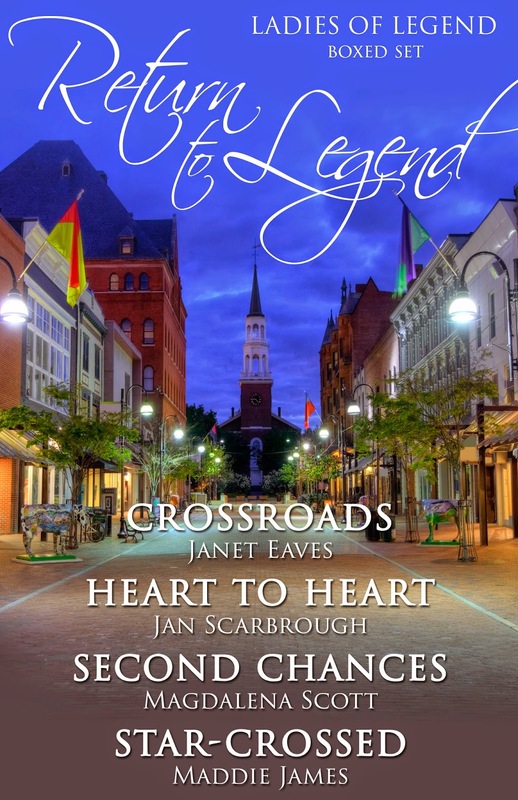 "Follow a Virginia Country Road and take a trip to love, mystery and suspense with a dash of Southern Gothic." A Virginia native, Grace lives in central Virginia. Contact Grace via her website, GraceGreene.com and while you're there, please sign up for her newsletter! Find her on Twitter as @Grace_Greene and on Facebook at https://www.facebook.com/GraceGreeneBooks. While you’re visiting Sweet Romance Reads, I hope you’ll sign up for our newsletter, too. 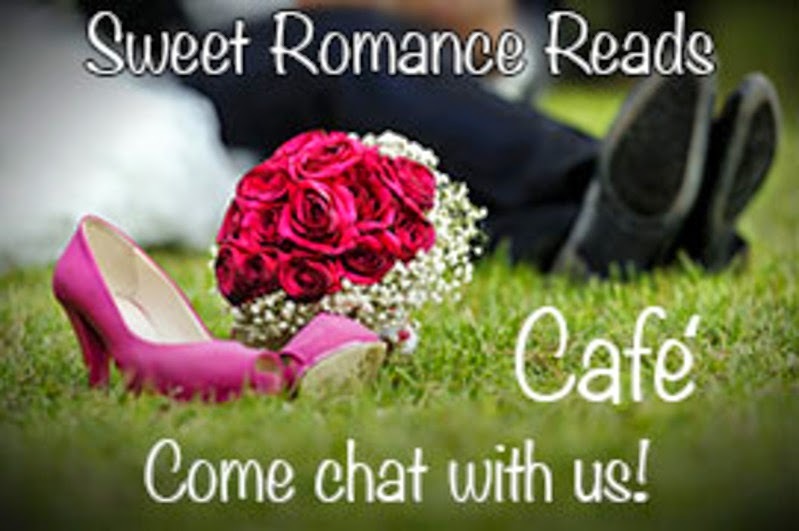 Also visit our new Sweet Romance Reads Café on Facebook to chat with our authors, plus we have a Sweet Romance Reads Authors group on KOBO. Please check it out!